Custom Leather For 30+ Years! Standing Bear's Trading Post conducts all ordering via phone, e-mail and in our retail store in Reseda, CA. Items listed on the website are items we can get from these suppliers & may not be stocked in store at all times. 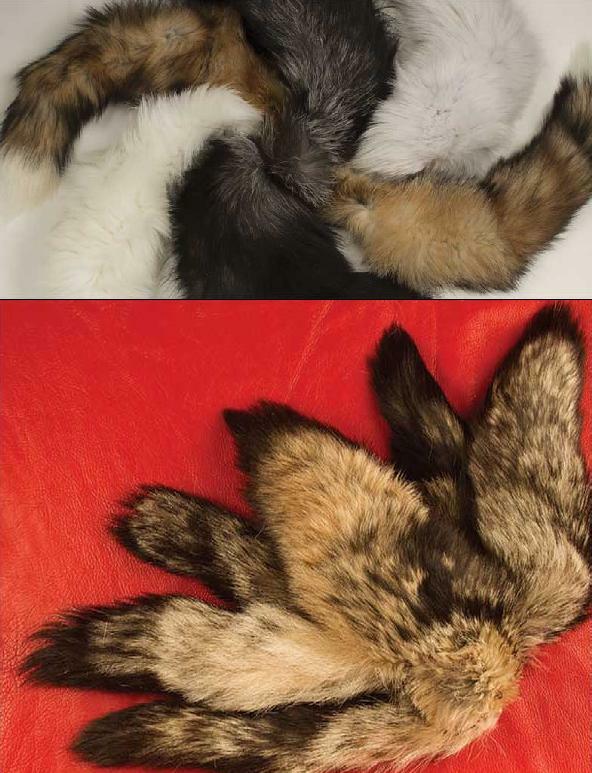 Cast from genuine claws, these will add a look of authenticity to jewelry and costumes. Approx. 2" long. 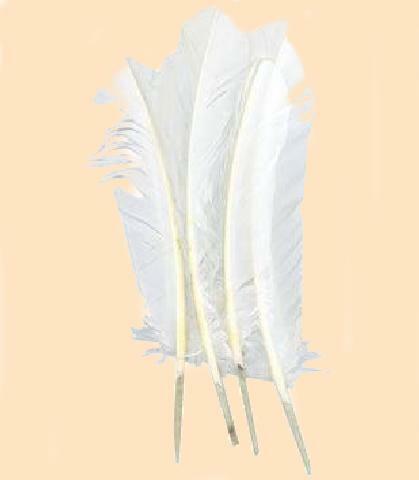 Cast from genuine claws, these will add a look of authenticity to jewelry and costumes. Approx. 3-1/2" long. Excellent for award systems, key chain pendants, giveaways, and necklaces. Plastic arrowheads with large hole for stringing. 2 1/2" long in many colors. Metal Hoops for Dreamcatchers, Spirit shields, and more. An excellent hoop for mandellas, dream catchers, or other similar craft projects. Woven webbing that looks like hitched horse hair or beading. Can be used to make hatbands, inlay for belts, appliqué and borders on picture frames. Made from polyester. 1/2" x 72" (13 m x 1.8 m). 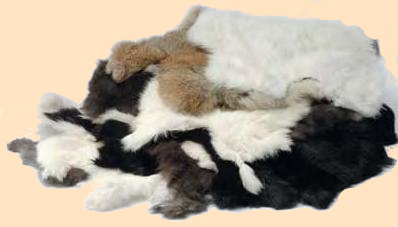 Assorted natural colors of rabbit skins. 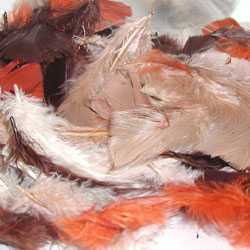 Rabbit Pelts are used for a great array of projects, crafts, decoration and more. the assorted colors of these natural rabbit sking are ideal for varied craft and decorating projects. Worn on belt loops, bags, used to make oversized keychains and just about anywhere you can clip them. 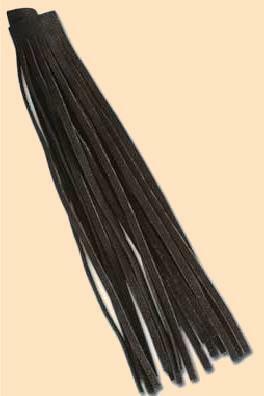 9520-15 Assorted Fos Tails average 12" to 16"
9520-98 Small Fox Tails 6/pk Tails average 12" to 14"
Ant Silver Plate Dangles to spice up your craft projects. Approx. 1-1/16". Ant Silver Plate Dangles to spice up your craft projects. Approx. 1-9/16"
accessories like handbags and shoes. Let your imagination run wild with your upcoming projects or use as embellishments on already finished items. 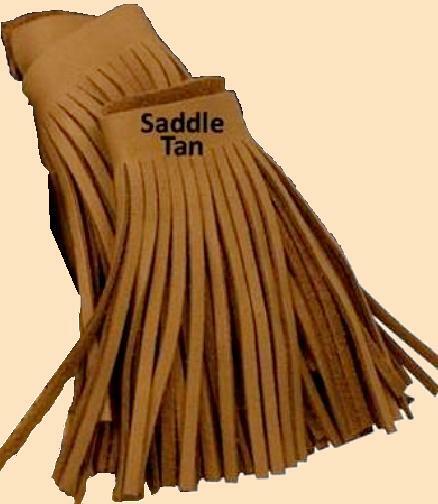 The 3-1/2" (89 mm) wide strip of suede cowhide has fringe measuring 9-1/2" x 3/16"
Soft, supple, luxurious deertan fringe has unlimited uses for your craft needs. 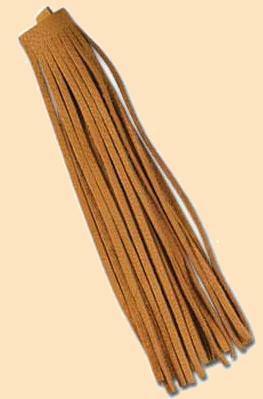 A 3-1/2" wide strip of 9-1/2" x 3/16" fringe. 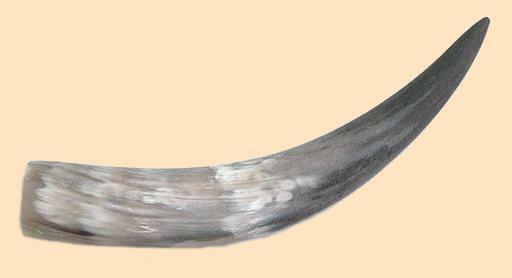 Perfect for powder horns. Ready to finish. 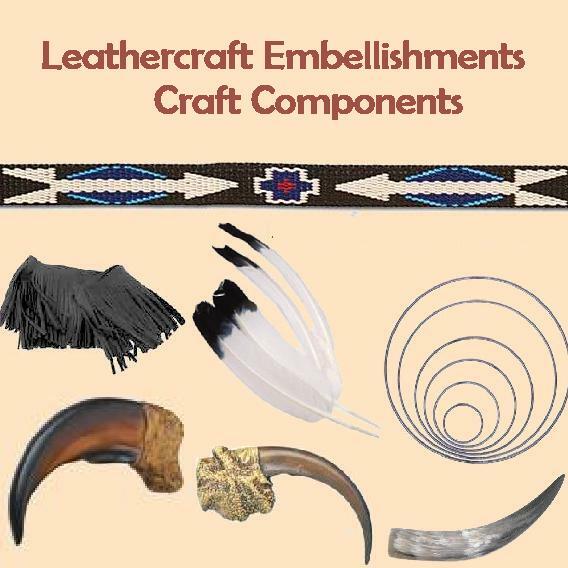 enhance your American Heritage craft projects. Approximately 10" to 12" long. Items to create and decorate craft projects at Standing Bear's Trading Post Located in the San Fernando Valley of Los Angeles County.